Born in 1964 Jake Winkle did a foundation course at Bournemouth College of Art in 1984, before going on to study Expressive Arts at Brighton Polytechnic. Graduating in 1987, and after a spell in industry, he became a full time artist and began to focus on watercolour painting. Now specialising in this medium, Jake practices it at its most direct and uncluttered. Particularly inspired by colour and movement his subject matter is frequently rendered as simple silhouettes or slabs of colour and tone and is a reflection of the world around him. 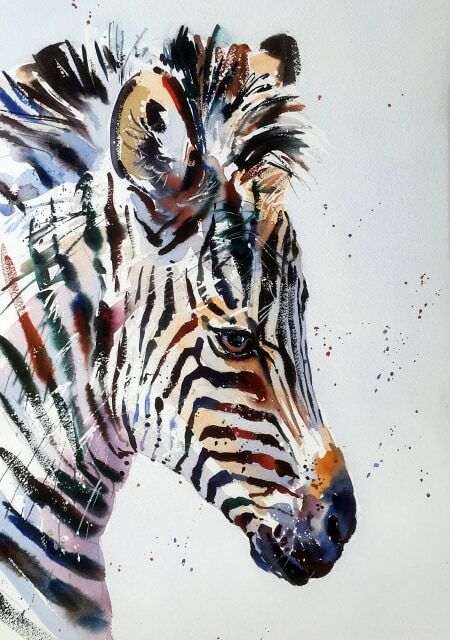 He is well known for his watercolours of racing subjects. He has been a finalist in ‘Not the Turner Prize’ competition and exhibits widely in London and all over the South of England, including at the Mall Galleries and the Royal Society of British Artists. Jake has been the subject of a profile in The Artist Magazine, to which he also contributes. As well as exhibiting regularly he has undertaken many commissions, both private and public, including for The National Trust. Jake also teaches and runs watercolour workshops and demonstrations in the South of England.